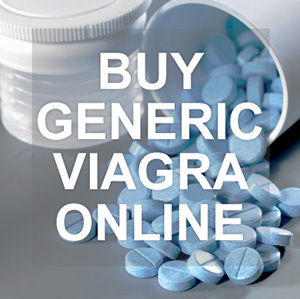 Anastrozole is an anti-estrogen preparation that is available in the form of tablets. Initially, anastrozole was developed as a medicine for breast cancer. However, in our day in practice, the drug is practically not used. In sport, Anastrozol has gained immense popularity: it is used by athletes and fans of power sports. The drug helps to avoid gynecomastia, that is, the growth of the mammary glands, relieves edema and other side negative effects that often accompany the course of taking anabolic drugs. Anastrozole has pronounced effects: only one milligram of active substance can lower the content in the bloodstream of estradiol by 80%! Even Tamoxifen, which is quite popular with bodybuilders, can not be compared with Anastrozole for the strength of the effect. However, the drugs have a different principle of action, so a comparison between them is unlikely to be correct. Anastrozole is recommended only for experienced athletes: beginners should preferably be discarded. Tablets are used after the course of anabolic steroids ends. Anastrozole should be taken in two cases: with the appearance of severe side effects after taking steroids and before the start of the course as a prophylactic. After the course, a steroid is taken from 0.25 to 1 mg per day. Prior to the course, the dosage should be determined by a specialist. You can take Anastrozole for two weeks: during this time the drug will have time to show its properties in full. In order for the active substance to enter the bloodstream as quickly as possible, drink Anastrozole before meals, drinking it with a large amount of water. It is not recommended for women athletes to drink Anastrozole. The drug can provoke sudden changes in the hormonal background, which can lead to unpredictable consequences for the female body. What side effects can anastrozole receive? Side effects from the drug are relatively rare. As a rule, they are associated with intolerance to active ingredients or excess of the recommended dosage. Among the most frequent side effects, you can identify rapid fatigue, drowsiness, redness of the skin, headache, as well as various negative manifestations of the gastrointestinal tract (nausea, vomiting, diarrhea, etc. ).